The tendency of contemporary art criticism to, as art historian Rosalind Krauss posits, “avoid talking about the art itself and instead just [focus on] a set of ideas that the art might invoke… [a] constant deflection of attention from the texture” in my opinion would prove an inefficient approach to fully appreciating the recent sculpture works by artist Nate Petterson. The meaning of these new sculptures, their signifier, resides not in the theory behind the object, but in the numerous intricacies of the textures of the work. 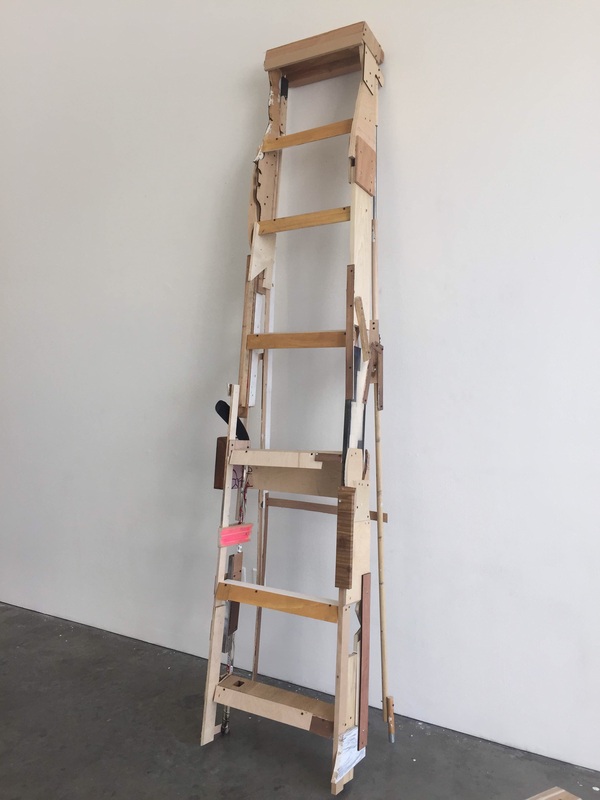 While it is true that a construction ladder has within it many possible interpretations, ranging from its concrete function in construction work, to architecture (as they operate in relation to architectural forms), and metaphors of physical ascension, these interpretations may not really capture the essence of these works’ gravitas. 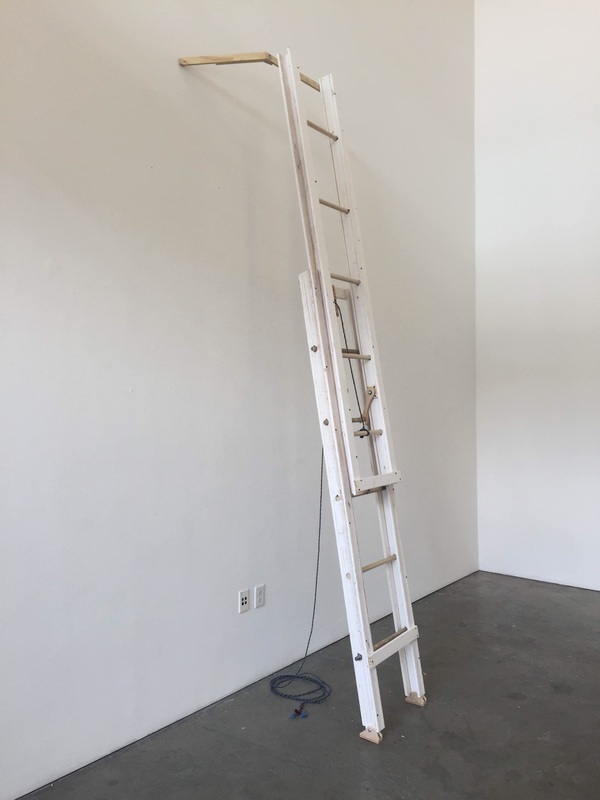 These ladders are not ladders – in fact they are constructions that effectively impersonate their form. 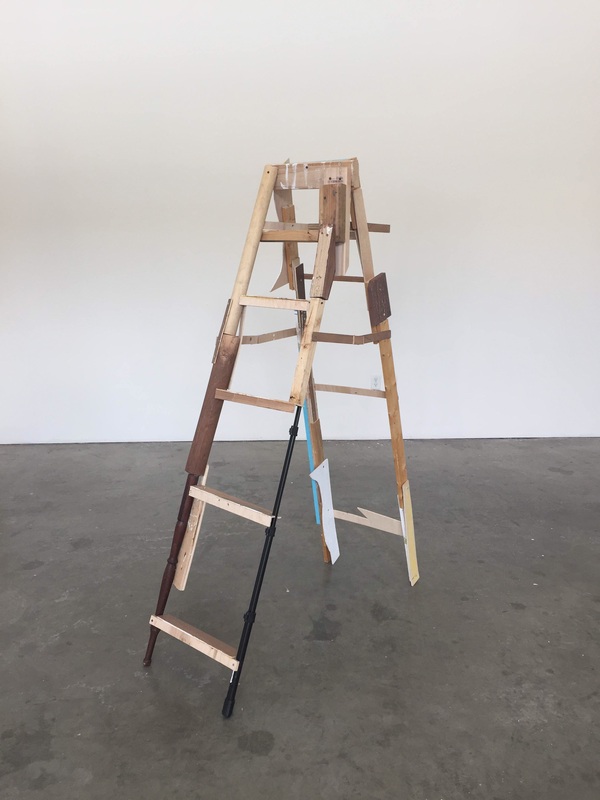 These constructions are a bricolage of shards, rubble, and remnants, which Petterson amalgamates into a structure that then harks to the shape of a ladder. And this act of impersonation – characterized by a precarious sense of cohesion – creates a certain tension —a type of cognitive dissonance. 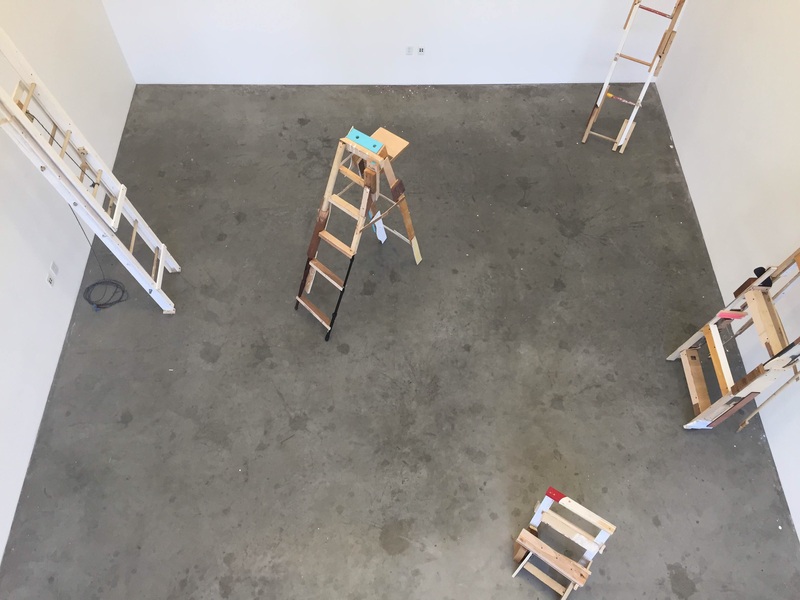 The meaning of these works then seems to spring from a fertile site – from the interstice between the fragility of their constituents, and the looming form and function of the object that they recall. 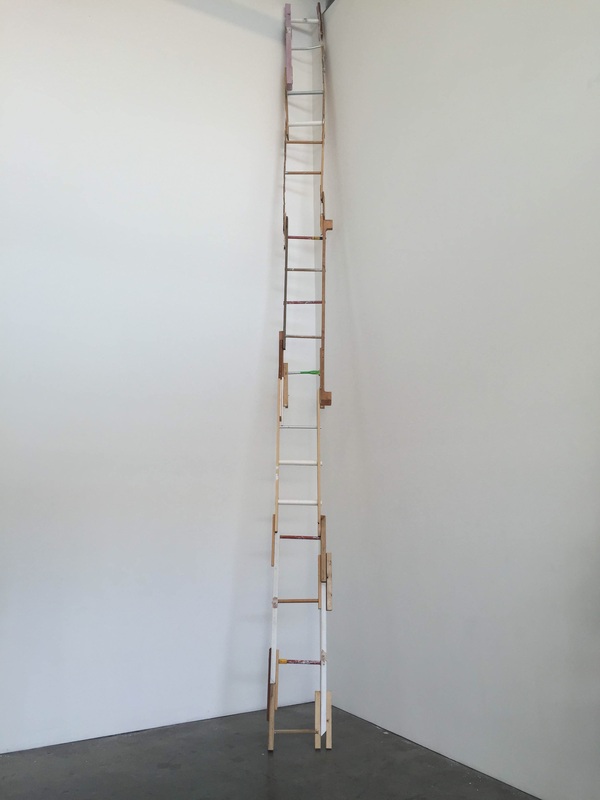 Nate Petterson presented these sculptures at the Atrium Gallery at the Graduate Center, part of the California College of the Arts. For more information about Nate Petterson and his work, visit his website by clicking here.